I LOVE Christmas countdown calendars! 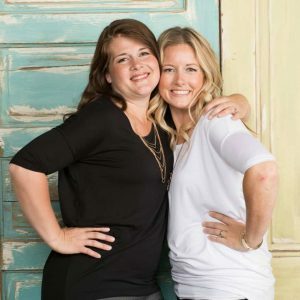 Seriously I have like five of them…my husband has actually banned me from buying any more. Unlucky for him, he didn’t say anything about MAKING them. 🙂 Now this first one, I can’t take credit for. R came home from scouts with this and I am just in love with it! Isn’t it awesome?! And if you want to undertake this project it seems pretty easy! 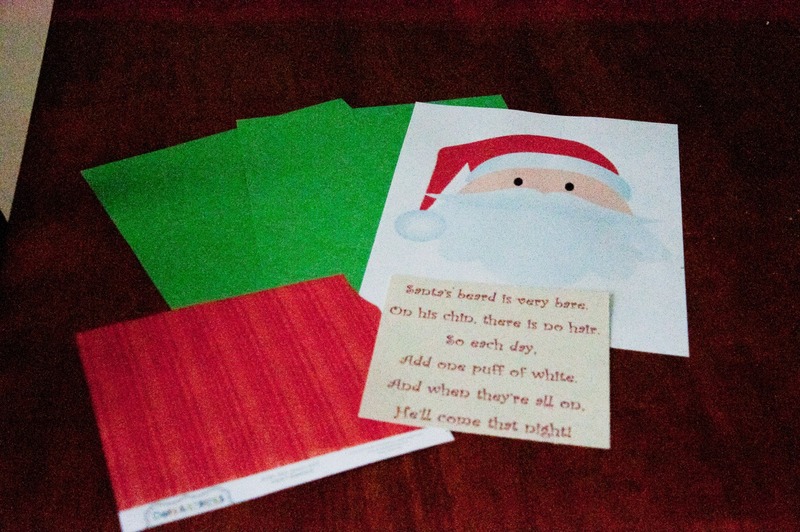 If you want the complete directions, let me know and I’ll get them from R’s scout leaders and share them with you! 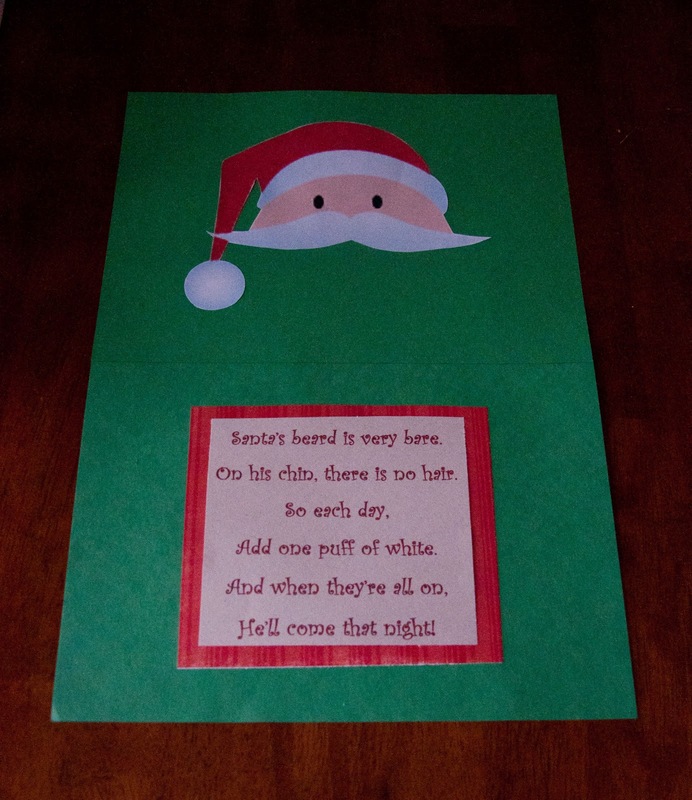 I used two pieces of green construction paper, a scrap piece of red striped scrapbook paper to back the poem, printed the poem on an off white piece of construction paper and used this free printable for the Santa face and used my photoshop to edit it. Then cut out the Santa face. 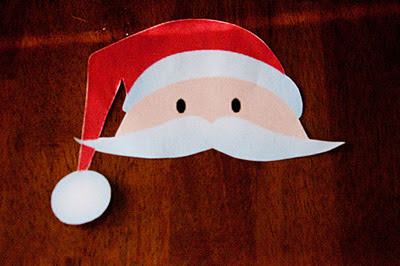 Santa has a full beard in the picture, but I just cut that off! 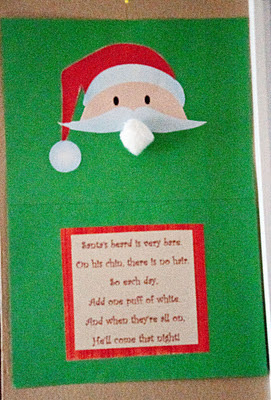 I used my adhesive to stick the two pieces of green paper together and to put the Santa face and poem on. 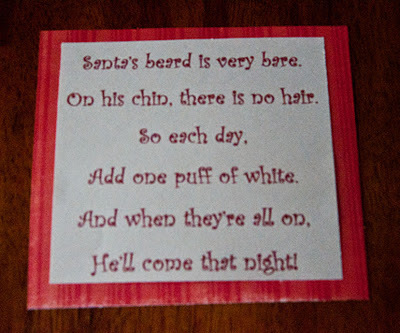 Since today is Dec 1st I let C glue on the first puff ball for his beard! And here is the finished project! (Please excuse the pictures…all the settings on my camera were messed up and I didn’t notice until I went to edit.) 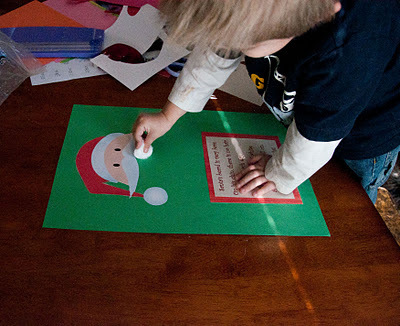 So hurry, go make this with your kids cause it’s LOTS of fun!